It never hurts to add a little space into your home: an extra room to handle all your hobbies or your work, an added floor for more dimension to your comfort zone – not to mention adding a great method of exercise, or simply more breathing room to bring your loved ones together. Whatever you need the space for, our roomy luxury studio apartment in Houston at Alexan 5151 has plenty to spare, along with great amenities to relax in every square inch. 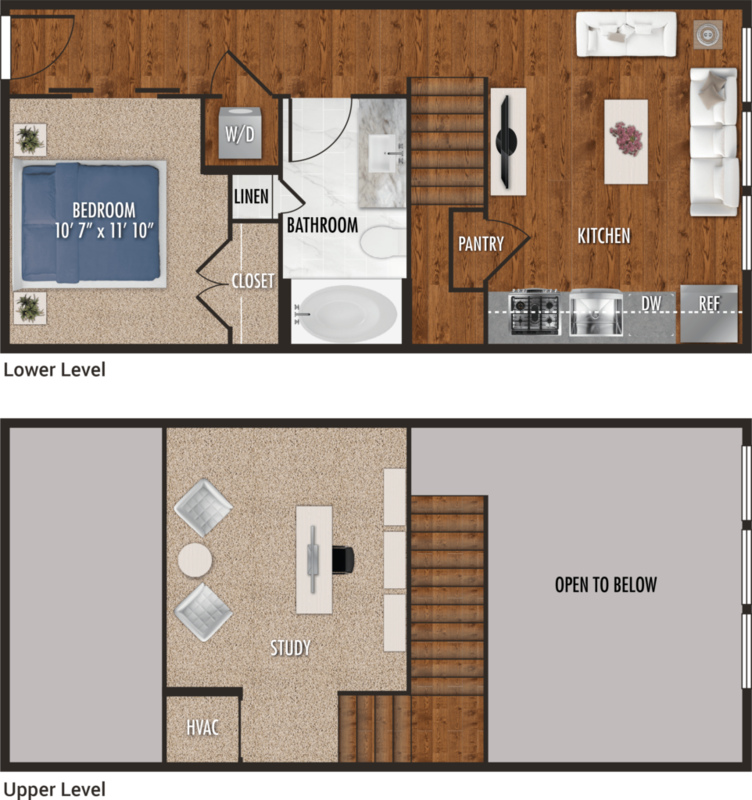 One of our luxury studio floor plans, the E2-M, also doubles as a mezzanine apartment, giving two floors and approximately 770 square feet of living space to play around with. Catch up on much-needed beauty rest in the bedroom nook right by the front door, featuring enough space to accommodate a king-sized mattress and a spacious double-door closet to organize all your outfits. Wash away your worries in the spa inspired bathroom in the entry hall, or take care of laundry from the comfort of home using the convenient standing washer and dryer. Cook up new recipes or go for old favorites in the open kitchen featuring ample pantry space. Finally, the study upstairs adds a touch of personality and creativity to your home. Build up a home office to work remotely, start your fancy entertainment center to watch the best films in stunning quality, or even set up a hobby room for exercise, art, games, or whatever you love to collect. 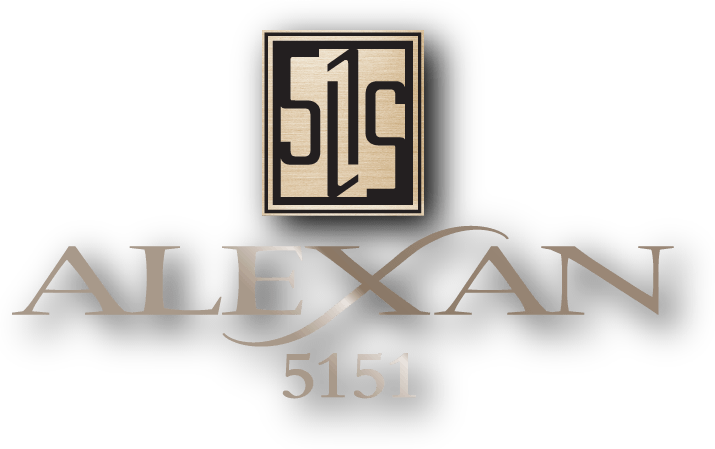 Find a studio apartment in Houston that extends to your lifestyle here at Alexan 5151. Schedule a tour of the E2-M and our other magnificent luxury apartments this weekend.